It is so much fun to try to capture a lively scene. My friend Bev moves around her busy Hawaiian kitchen with a confidence that inspires my deep admiration. My only complaint is that she never holds still! I sketched this with a fine blue pen and later went back with a black gel pen to add emphasis to parts of the drawing. 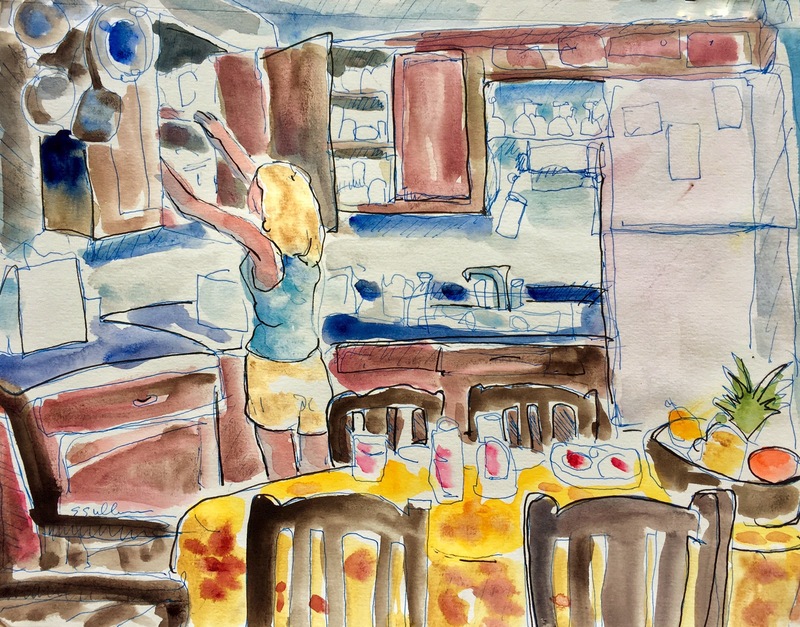 This entry was posted in Telling a Story and tagged Hawaii, Kitchen, People, Watercolor. Bookmark the permalink. Great picture! looks like you are having a great time in your travels!